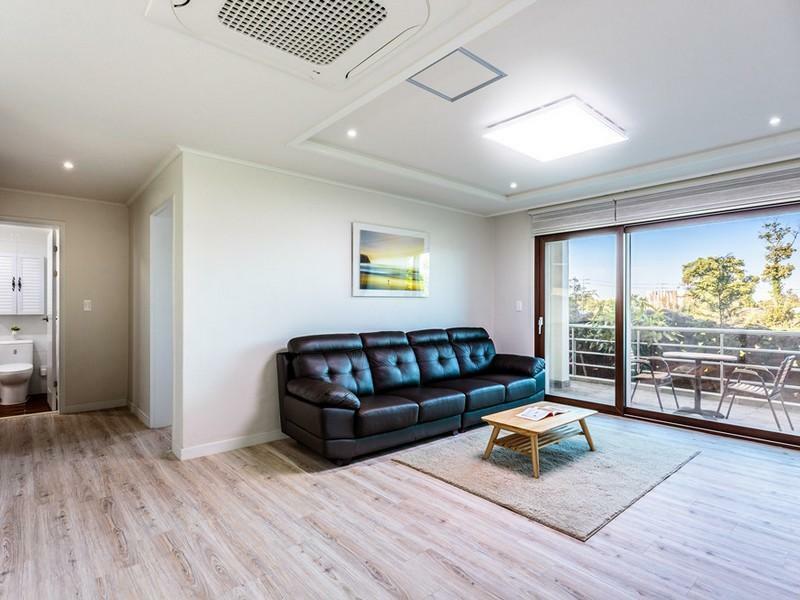 Have a question for Jeju Garden Pension? 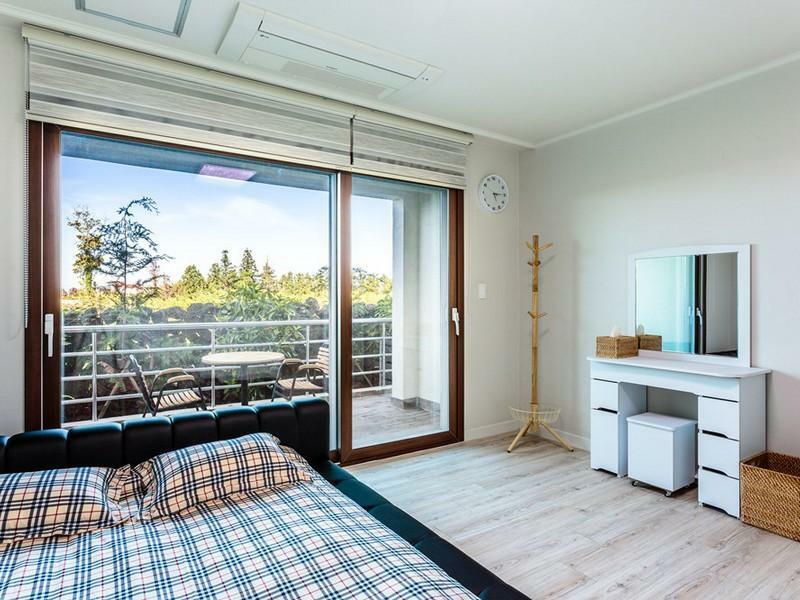 Well-placed in the family fun, sightseeing, beaches area of Jeju Island city, Jeju Garden Pension provides a most conducive spot for you to take a break from your busy days. Situated only from the city center, guests are well located to enjoy the town's attractions and activities. With its convenient location, the hotel offers easy access to the city's must-see destinations. Jeju Garden Pension offers impeccable service and all the essential amenities to invigorate travelers. To name a few of the hotel's facilities, there are free Wi-Fi in all rooms, express check-in/check-out, luggage storage, Wi-Fi in public areas, car park. In addition, all guestrooms feature a variety of comforts. Many rooms even provide television LCD/plasma screen, internet access – wireless (complimentary), air conditioning, heating, desk to please the most discerning guest. The hotel offers fantastic facilities, including golf course (on site), children's playground, garden, to help you unwind after an action-packed day in the city. Whatever your reason for visiting Jeju Island, the Jeju Garden Pension is the perfect venue for an exhilarating and exciting break away. 가족끼리 같이간 펜션인데, 근처 마트도 가깝고 좋았어요. 정원이 너무 예쁘고, 깔끔하고, 서비스가 좋았습니다. 굉장히 깔끔한 편이고 시설도 좋고 정원까지 좋아 풍경이 너무 좋았습니다. 아침에 커피서비스까지 정말 다시 또 가고 싶은 펜션 입니다!